Mark Oldman alongside a Melchoir of Benovia Pinot Noir. 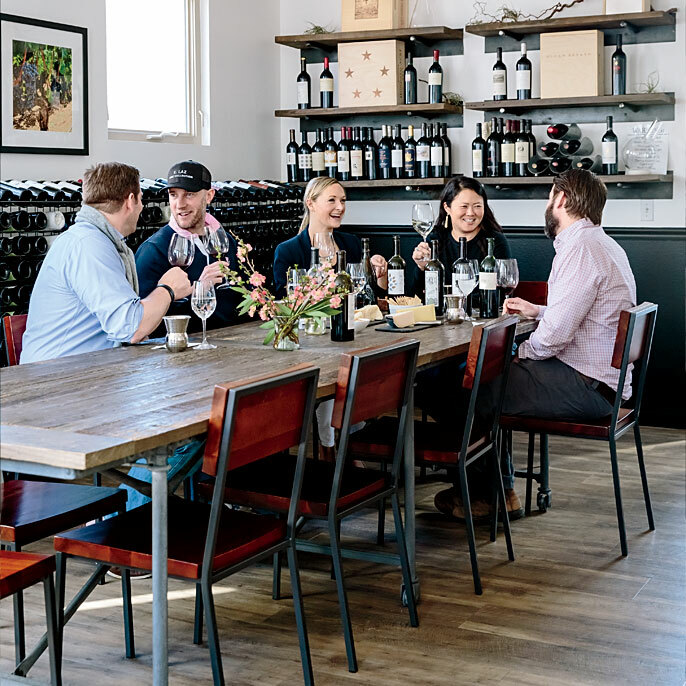 Look over almost any wine list in a restaurant—whether the food is coming out family-style to undressed communal tables or being uncovered in a show of well-rehearsed choreography by an army of tuxedoed servers—and you’ll notice prices that range wildly. I ate a meal recently at a restaurant boasting bottles between $60 and $24,000. But what are the reasons for that disparity? At the Food & Wine Classic in Aspen I sat in with Mark Oldman, wine writer and author of several books, most recently How to Drink Like a Billionaire. Oldman was running the seminar Wine for Zillionaires, where he was guiding people through a tasting of some of the most expensive wines on the planet, and explaining how they got that way. Usually buying in bulk saves you money. Not always so with wine. If you’ve ever noticed a magnum (the equivalent of two standard 750 ml bottles) costs more than two 750 ml bottles of the same wine, it’s not because there is something magic that makes the wine better when it’s in a large format bottle. It’s because bigger bottles are more rare. And if you thought magnums of some wines might be trickier to come by, consider some of the other extravagantly named sizes. Oldman says he keeps a Balthazar (the equivalent of 16 bottles) on his kitchen counter as “kitchen bling.” And during his seminar we drank from a melchoir (18 liters—the equivalent of 24 bottles) of Benovia Bella Una Pinot Noir. It was so big it literally needed a tap. It seems straightforward that the weather in some years produce better wines than others. But there are some many wines out there (we happened to be drinking the Taittinger Comtes de Champagne during Oldman’s seminar) that aren’t even made if the winemakers don’t believe they’ll produce an excellent bottle. These wines are only made in vintage years, which can occur as infrequently as four times a decade, again making for more scarcity. You do pay a premium for reputation. As Oldman pointed out while he was showing off a Stag’s Leap ‘Cask 23’ Cabernet Sauvignon, the bottle commemorated the 40th anniversary of the Judgment of Paris. During that tasting in 1976, Stag’s Leap shocked the wine world and beat out a number of Bordeaux giving American wine some real credibility on the international stage for the first time. Oldman says that as far as he's concerned Sauternes are the world’s best dessert wines. He likes them so much he says that when he was going in for surgery he snuck a bottle into his room and rubbed some on his gums before he went under because “that’s the taste I’d want to go down with.” But he says a strong second is a good Picolit. Picolit grapes, from the Northeast of Italy are typically grown in rocky, sometimes infertile areas, that are tough to harvest much from. And if the grapes are tough to come by that’s only going to push the price in one direction.